Rob Arnaud, President, is a fourth generation Montanan who grew up in Manhattan, Montana. 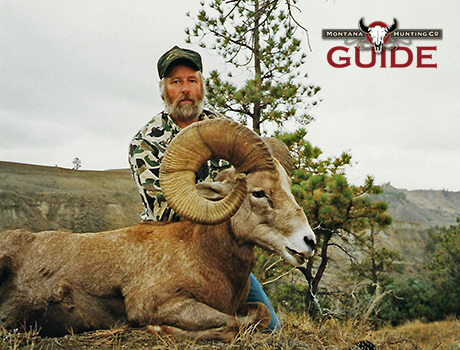 He earned an animal science degree from Montana State University in 1980 and was trained for the wildlife manager/outfitter job on the Flying D Ranch by Turner Enterprises, Inc., a position he has held since 1989. Rob lives on the Flying D Ranch with his wife where they raised their four children. Jim Doran, General Manager and Guide, is a professional hunter/outdoorsman with over 30 years experience. Jim is the hunt manager on the Flying D Ranch for the Montana Hunting Company. He also conducts spring brown bear hunts in Alaska. 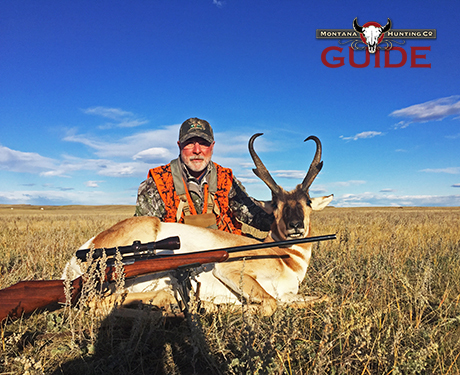 He holds guide licenses in Montana, California, Wyoming, and Alaska. Jim enjoys hunting waterfowl and predators. 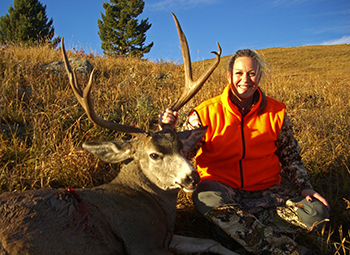 Karla Smith is the Executive Manager for Montana Hunting Company. She is a third generation Montanan and a graduate of Montana State University. Karla has excellent communication and customer service skills and is able to understand the needs and concerns of clients. She and her husband have an active, young family. Eric Christophersen is a fourth generation Montanan from Bozeman, Montana. 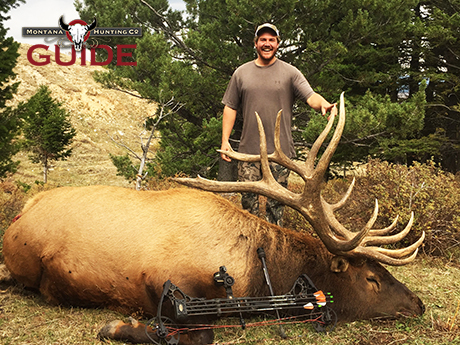 A lifelong outdoorsman, Eric has been guiding for Montana Hunting Company on the Bar None Ranch since 2006. 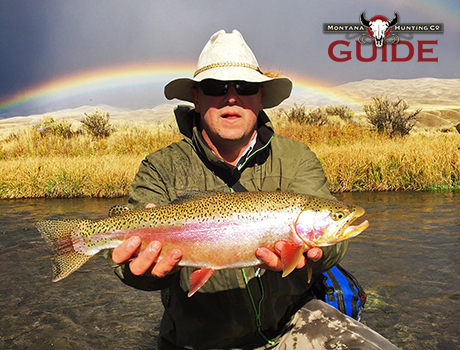 Eric has guide licenses in Montana and Alaska. Eric and his wife are raising a daughter here in the Gallatin Valley. Eric is the Marketing Director for Montana Hunting Company. 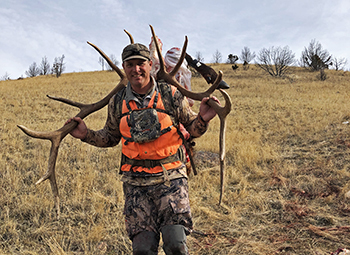 Since forming Arnaud Outfitting, Inc. in 1996, Rob has contracted the wildlife management and outfitting with the Flying D as well as several other properties in Montana, California, Colorado, and Wyoming. In January of 2011, Arnaud Outfitting combined the big game and bison hunting under the name of Montana Hunting Company. The success of our hunting company is four fold: The superb hunting properties, hospitality of the land owners, our professional staff, and our loyal customers who have supported us for years. Thank you to all. Mark is a Montana native, originally from Great Falls. Mark is a retired Montana FWP game warden, where he served on the force for 30 years. He now lives in Bozeman with his wife Maureen. 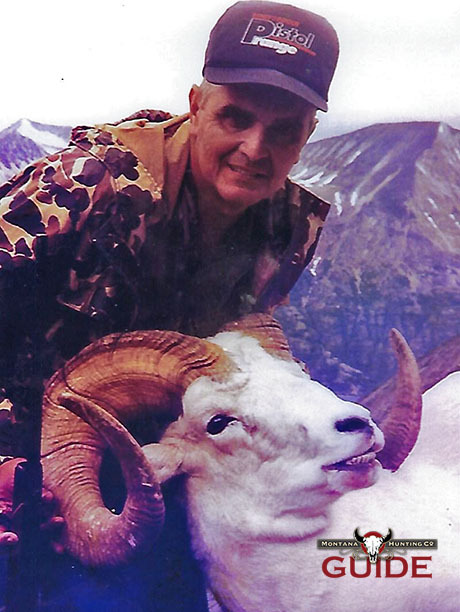 After retirement he began working for Montana Hunting Company and the Department of Livestock. Mark enjoys taking horses and mules into the back country when he's not working. Dan lives in Lewistown, Montana. 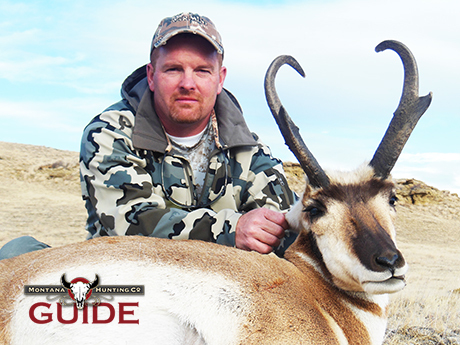 Dan guides Elk, deer, and antelope hunts for us on several different ranches. 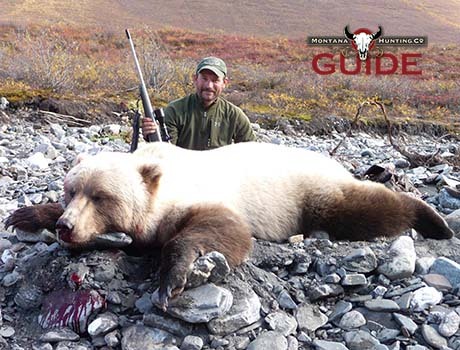 Dan also enjoys guiding in Alaska for a number of big game animals. In the offseason, he conducts prairie dog hunts in Wyoming. Ryan is from Bozeman, Montana and enjoys hunting, fishing, hockey and summers on the lake. Ryan also works in the Construction industry, when he's not guiding or hunting. He recieved a Business Management degree from Montana State University. 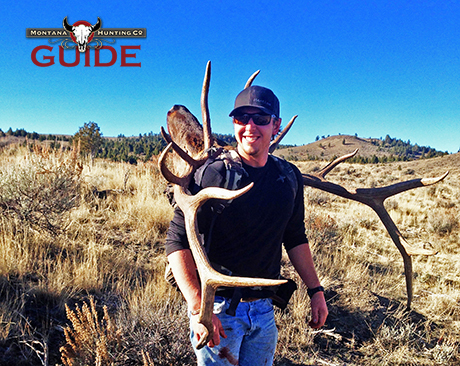 Ryan loves guiding on the Booth Ranch and chasing big Mule Deer bucks! Mark was born in Nebraska and grew up around the Sandhills of Nebraska. He moved to Montana and has since lived here for 38 years. 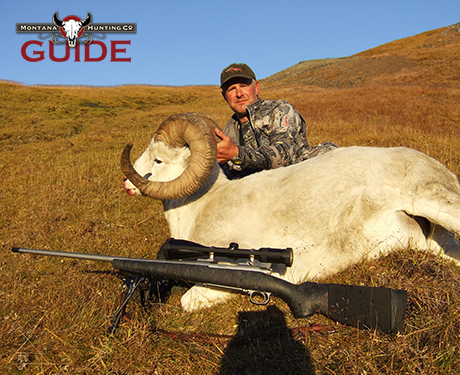 Mark is an avid hunter and has also hunted in Canada and Alaska. Mark is an excellent gunsmith and offers custom gunsmithing here in Bozeman. Roger grew up on a farm, and started hunting at age 10. Roger is a retired High School teacher, whom also coached basketball and baseball. 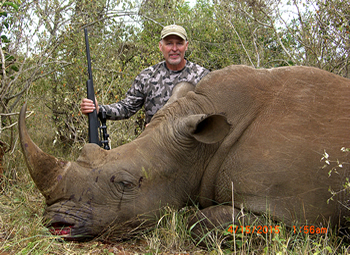 Roger has hunted many states, as well as Canada and Africa. He enjoys meeting and working with all the hunters from many states, and enjoys working with the owners while guiding on the Glennie Ranch. Roger lives in High Point, North Carolina. Shaun is a fourth generation Montanan from Missoula, where he studied journalism at the University of Montana. 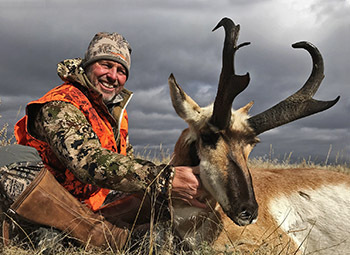 He has guided elk hunters since 1995, and started guiding on the Flying D in 2007. Shaun is a fishing outfitter, currently living in Sheridan, Montana and spends his winters guiding on the Rio Grande in Tierra del Fuego, Angentina. When he is not guiding fisherman or hunters, Shaun spends time with his son and introducing him to the great outdoors. Ray is a Montana native, currently still living in the Gallatin Valley. Ray started guiding on the Flying D Ranch in 2006, where he continues to guide for MHC. He started hunting at the age of 12, and continues to enjoy hunting, fishing, shooting, and being in the outdoors. Ray is excited to pass on hunting and outdoor traditions to his grandson. Bill was born and raised near Clyde Park, Montana. He grew up hunting and fishing, and began guiding in 1983. In 1994 he began guiding for Rob Arnaud in Utah, Wyoming, and Montana and continues to guide on the Flying D. Bill still lives near Clyde Park, where he owns and operates a very successful fencing company. Bill has a strong passion for chasing Mountain Lions with his hounds and sharing the outdoors with his daughter. Dylan was born and raised in Belgrade, Montana and grew up hunting and fishing in southwest Montana. He started guiding hunting and fishing trips in 2013, and continues to guide fly fishing trips on the Yellowstone, Gallatin, and Madison Rivers during the spring and summer months. Dylan spends his free time floating the rivers, hunting in the mountains, or snowmobiling in the winter. Jeff currently lives in Columbus, Montana with his wife, Pam. Jeff is a fourth generation Montanan from Great Falls, Montana. He has been a cowboy on the Dana, Sieben, and Hotson Ranches. Jeff is a retired Montana FWP game warden, with a degree in Wildlife Biology from the University of Montana. Jeff brings over 50 years of hunting and outdoor experience to the table. He enjoys spending time with his family in the outdoors, predator hunting, looking for elk sheds, and videoing wildlife.